As great as inbound marketing is for attracting prospects to your website (and later converting them into customers), only a small percentage of these leads are ready to make a purchase when they first provide you with their contact information. This leaves about 90% of your inbound leads on the table. Enter lead nurturing, where you “touch,” or make contact with, leads many times as they move through their buyer’s journey. Done strategically and well, lead nurturing allows you to guide a prospect from lead to customer to happy, happy client. First, What is Lead Nurturing? Briefly, this is the process of building relationships with your prospects and leads through every stage of the sales funnel. With inbound marketing, you provide content with information and the answers to the questions they have, always focusing on their needs and concerns, not yours. These are called a “drip” strategy because once a prospect provides you with his or her e-mail address (in exchange for a free report or guide that provides in-depth information on a desirable topic), you may regularly send links to your blog posts, additional free reports, invitations to free webinars, etc. Your messages “drip” into his inbox, working steadily to build his trust. This is part of your drip campaign, but deserves its own discussion. Sending newsletters helps remind your leads that you’re out there and can be very helpful when your product or service has a long buying cycle. What should you publish in your newsletters? Updates on your products or services, links to your blog posts and landing pages for free reports. Newsletter topics could discuss certain challenges or goals your prospects have. You can send them quarterly or monthly; just make sure to send them regularly. 3. Make sure all emails are personalized. Once a prospect provides you with his contact information, it’s imperative that you follow up as soon as possible. Automated lead nurturing software allows you to do so in the blink of an eye, but even a nice phone call within no more than a day of a prospect converting into a lead can help move him in the right direction. 5. Always know where a lead is in the sales funnel. You don’t want to send content that you would send to a long-time prospect to a new visitor. Each part of the funnel requires different content! Someone at the top of the funnel simply wants more information so that he or she can continuing researching. Someone near the bottom may just need a nudge – an offer of a free trial, for example – in order to become a customer. For more information, take a look at this great post about content for each stage of the funnel. There’s an art and a science to lead nurturing. 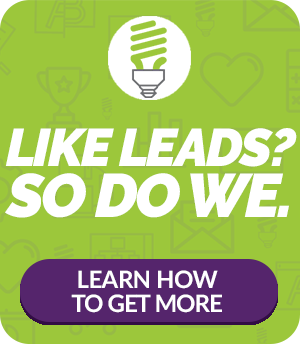 Michigan-based Ingenex Digital Marketing can help you create a campaign that will have your leads trusting you as a newborn trusts her mother (well, maybe not that much, but you get what we mean… we’d love to help.